My tablet is unable to register mobile network. The IMEI was checked and it showed '000000000000000'. Is there anyway to repair it? (03-28-2018, 09:28 PM)Ameyaw David Wrote: My tablet is unable to register mobile network. The IMEI was checked and it showed '000000000000000'. Is there anyway to repair it? What's the tablet's chipset and android version? Check if the tab has a valid baseband in settings>about>baseband. 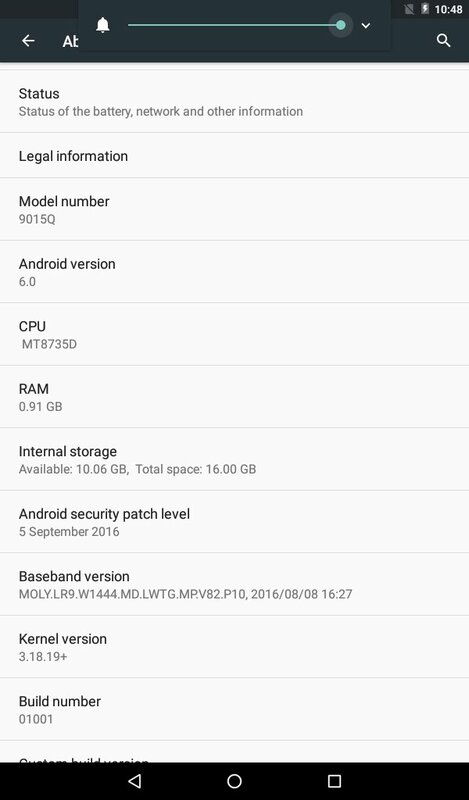 Android 6.O, MT8735D. The baseband is in the screenshot. (03-29-2018, 11:55 AM)Ameyaw David Wrote: Android 6.O, MT8735D. The baseband is in the screenshot.